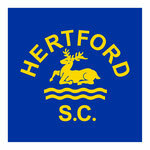 Hertford Swimming Club Records may be achieved at any recognised Gala or Open Meet where the swimmer is representing the club. Please note: Ages are as at date of Swim. All records are short course unless stated otherwise (*denotes long course). Records Commence 01 January 2007.